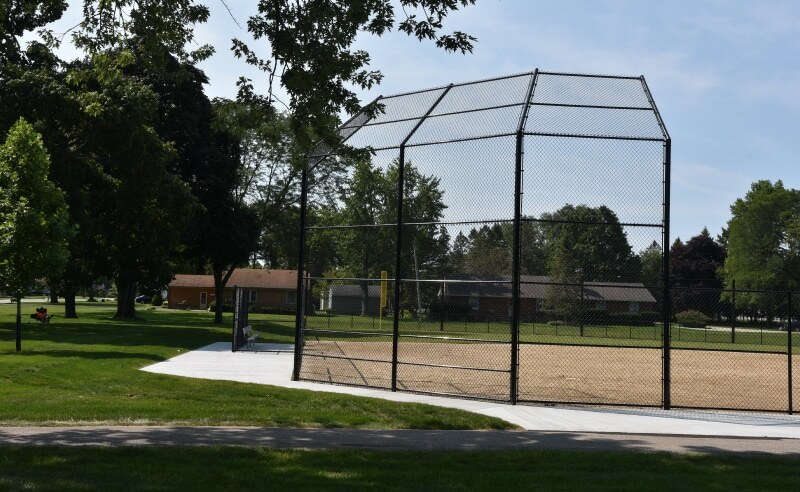 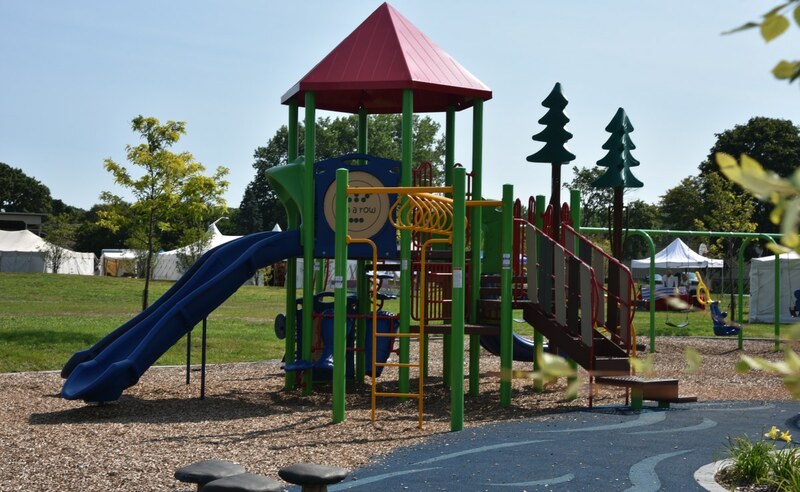 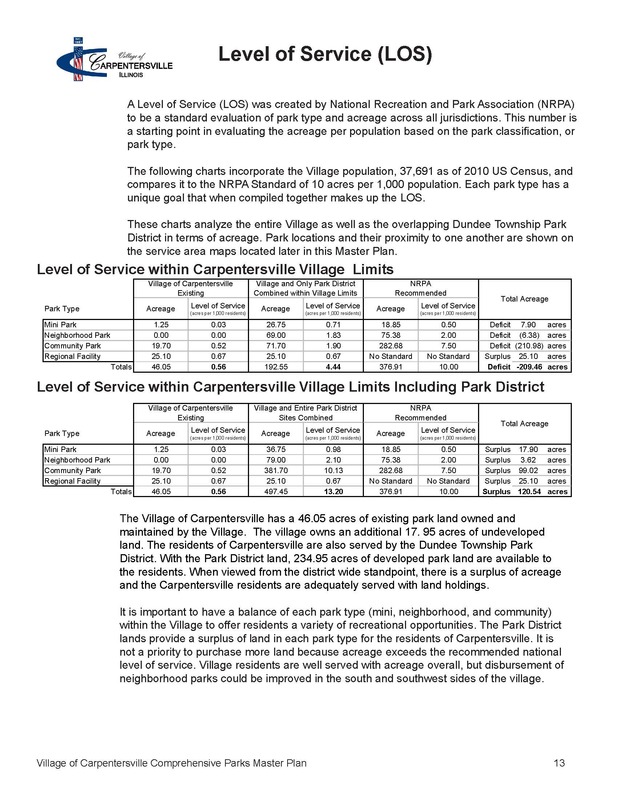 Located along the Fox River, the Village of Carpentersville requested Upland Design complete a park inventory and comprehensive master plan for the parks they own and manage. 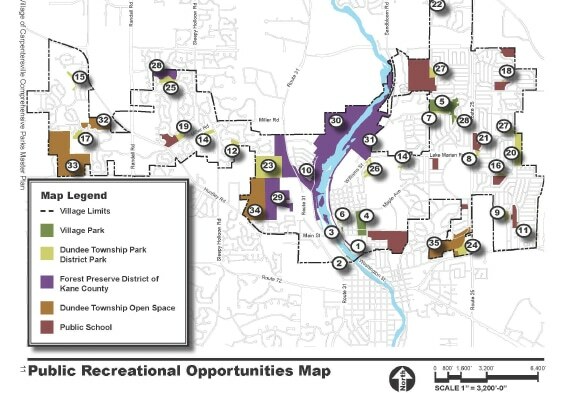 The goal was to guide the Village’s limited resources to increase recreational opportunities for residents and create connections to nearby Park District facilities as well as regional trail systems along the Fox River and across the community. 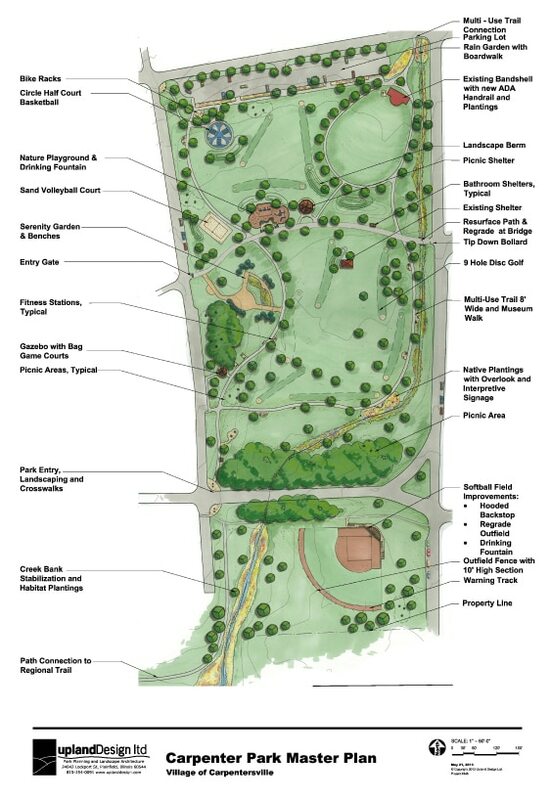 Upland Design reviewed all the sites and led several discussion groups with community members, Park Board and Village staff to discuss goals, needs, budget as well as challenges facing the Community. 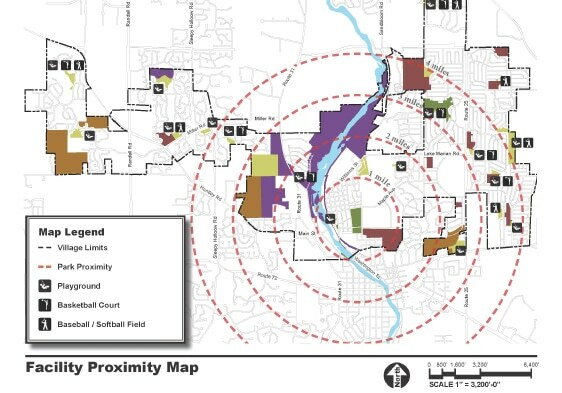 Existing site facility conditions were analyzed and locations were compared with proximity to similar amenities nearby. 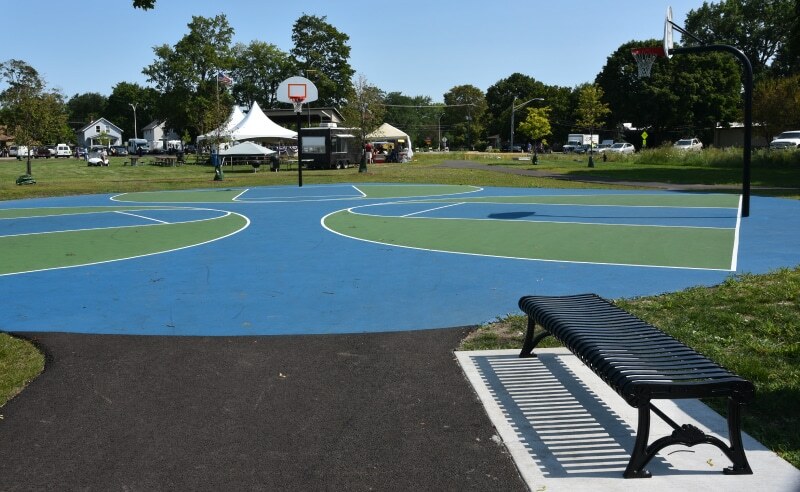 The proximity maps assisted the Village in receiving grant money for improvements at the largest and oldest park, Carpenter Park. 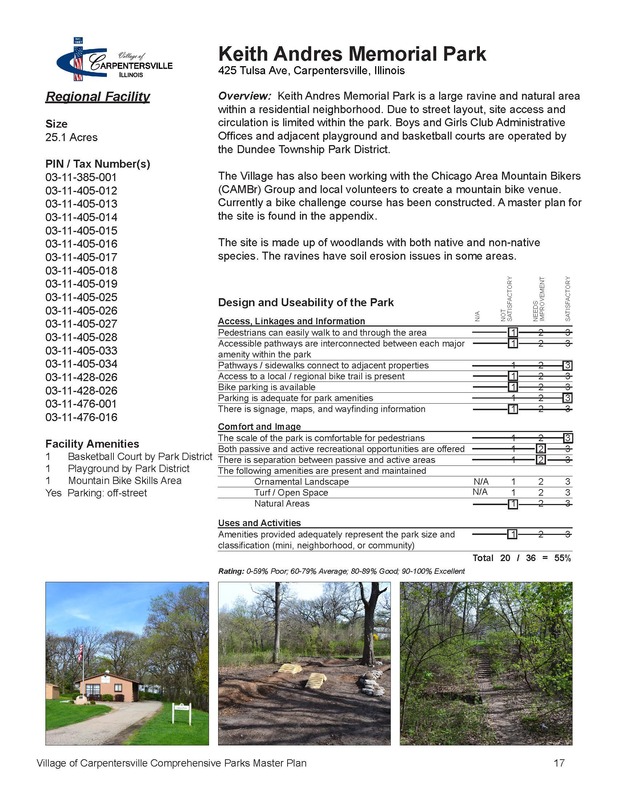 Maps were a key part of a 50 page document that included site profiles, level of service, facility needs analysis and potential funding and grant sources for improvements. 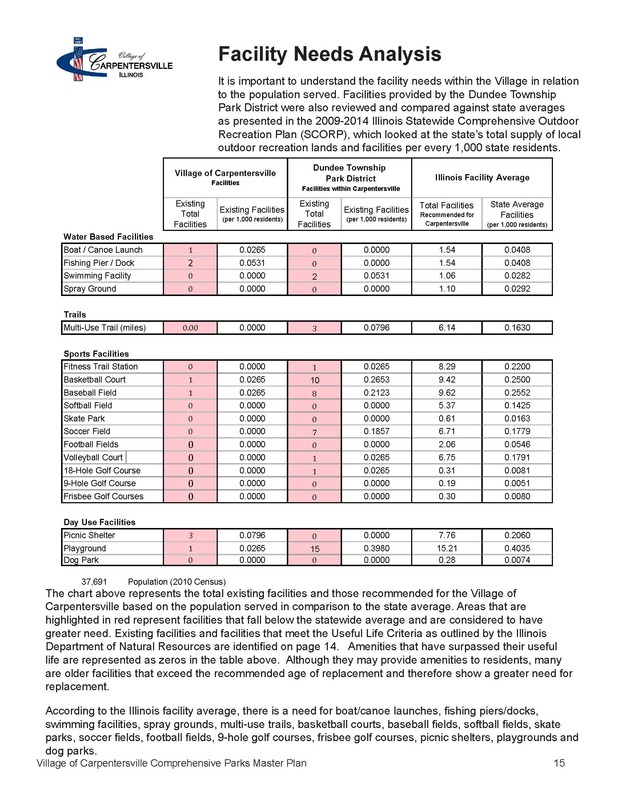 The final plan provides a useful budgeting tool for the Village as well important support documentation for future grants.